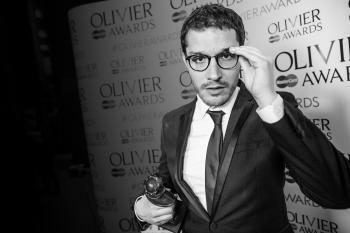 One of the most inventive young architects of his generation is working on his most important project yet. But can he fuse his playfulness with the demands of enduring design? One of the most indelible sights of the 2014 Sochi Winter Olympics was “MegaFaces” by Asif Khan. This kinetic installation depicted millions of selfies, turned into 3D reliefs by 11,000 illuminated tubes, which moved in and out as they adjusted to the contours of each face. There were no heroic heads of state, stern Olympic-committee members or flint-faced athletes: these were digital images of citizens from 30 Russian towns and cities blown up bigger than the face of the Statue of Liberty. 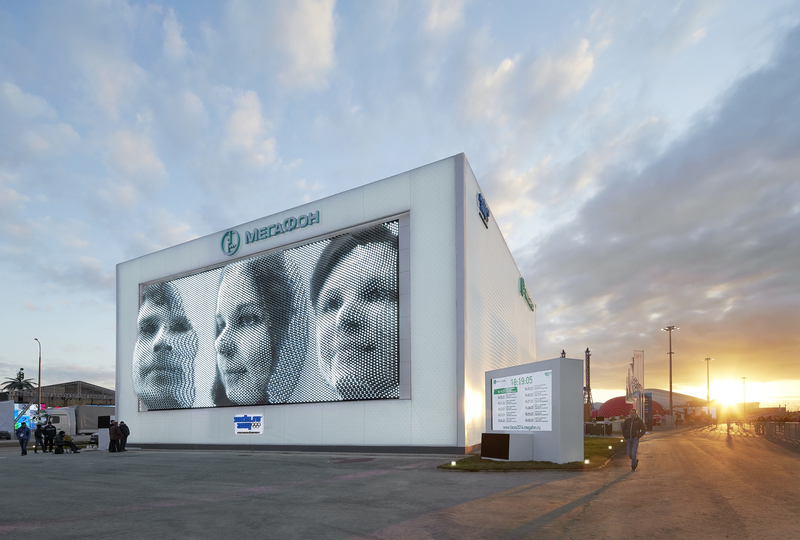 Sponsored by MegaFon, a Moscow-based telecoms company, the installation attracted 3.2m people. It was dubbed the “Mount Rushmore of the Digital Age”. “MegaFaces” (below) marked out Khan as one of the most inventive young architects and designers of his generation. Now his talents are about to be stretched. This summer it was announced that Khan is joining forces with the acclaimed modern architects Stanton Williams and the conservation architect Julian Harrap to design a new home for the Museum of London. Their proposal was chosen from a shortlist of six, including one from Bjarke Ingels, who is designing Google’s new headquarters in California. Set within and below the long-abandoned Smithfield General Market, a forgotten wonder of Victorian engineering, the project will demand great ingenuity. 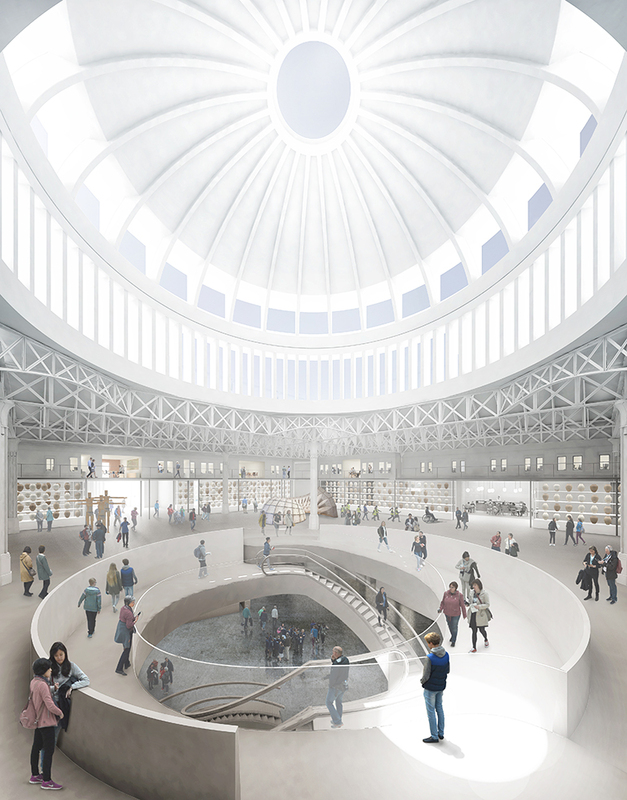 While the design has yet to be fully developed, the winning proposal incorporated spiral escalators leading from a great Victorian dome into a subterranean world of exhibition galleries (below), some of which face glass walls with underground trains scurrying past. There will be a sunken garden and event spaces weaving together subsidiary buildings. This museum will aim to catch the pageant of London’s long history, mixing old and new. It promises to be the polar opposite of a white-cube gallery. From the moment he started his own practice in 2007, Khan has been a talent to watch. Born in Forest Gate, south London, in 1979 to two social workers from Tanzania and Pakistan, he trained at the University of London’s Bartlett school of architecture and the Architectural Association. Then, rather than looking for work in an established studio, he set up shop in London’s East End. 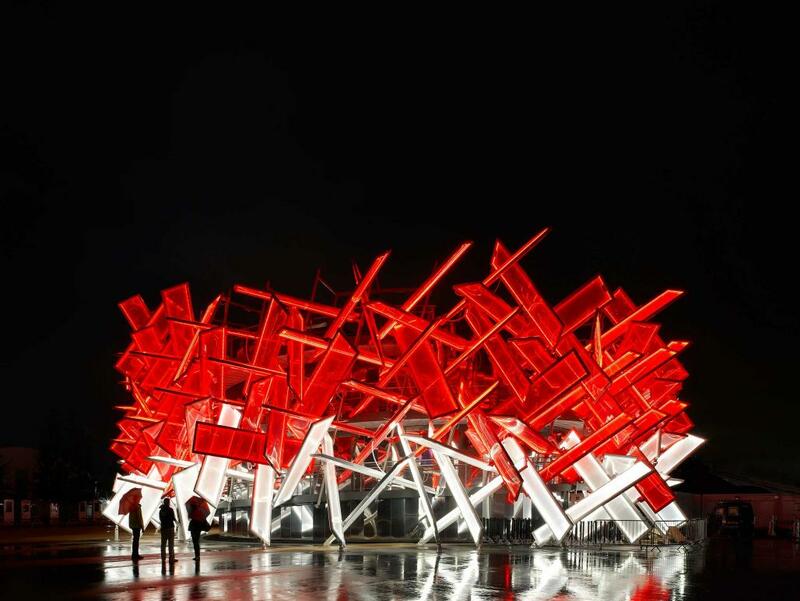 In 2012 he captured the design world’s attention when he co-designed, with Pernilla Ohrstedt, Coca-Cola’s pavilion at the London Olympics (pictured top). It was made from more than 200 plastic pillows which, when touched, played sounds from sports events recorded for Mark Ronson and Katy B’s Olympic anthem, including heartbeats, squeaking shoes and arrows hitting their target. It was a building that doubled as an Olympic audio tour. He also blogged for Vogue during the games. Here was a designer in tune with how different media have blurred, from architecture to fashion, music and communications. “All this created the impression that he was a Thomas Heatherwick type,” says Deyan Sudjic, director of London’s Design Museum. 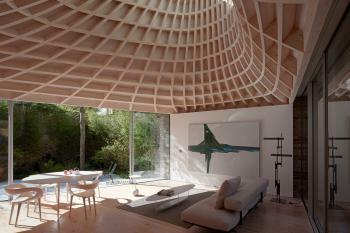 But pavilions and installations are not the stuff of great architecture. 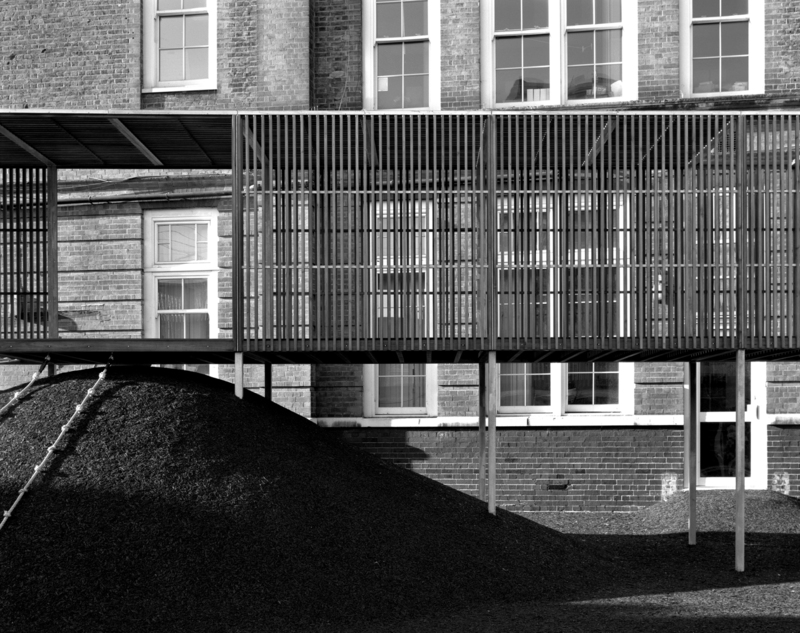 Khan’s seriousness is best seen in a thoughtful extension of the playground of Chisenhale primary school in Bow, East London, completed this year (below). 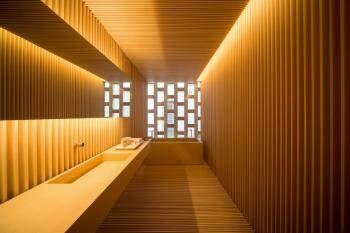 His two children – he is married to the Japanese-born architect and photographer Sakiko Kohashi – are pupils there. With precious little space to play with, Khan shaped an elevated timber and steel structure, with slatted walls, rising from a hill of rubber-tyre chips in the existing playground. Children climb up into this elegant and relaxed space by rope ladder and slide down. This was a modest project, but it conveyed a sense of precision, economy and delight. Significantly, Hélène Binet – a photographer favoured by serious British architects – was commissioned to capture the work on film in black and white. Her pictures lend the design gravitas. They also reflect the way an earlier generation of ambitious young architects, the British Modern Movement of the 1930s, used the best photographers of the day to capture their early work, from animal enclosures at London Zoo to Cubist-style houses. This imagery helped them to win bigger commissions and even international acclaim. Whether Kahn follows them will depend on one thing: how he fuses his playful sense of invention with the altogether weightier demands of enduring architecture.